The one-stop journal that adds colours to your life! 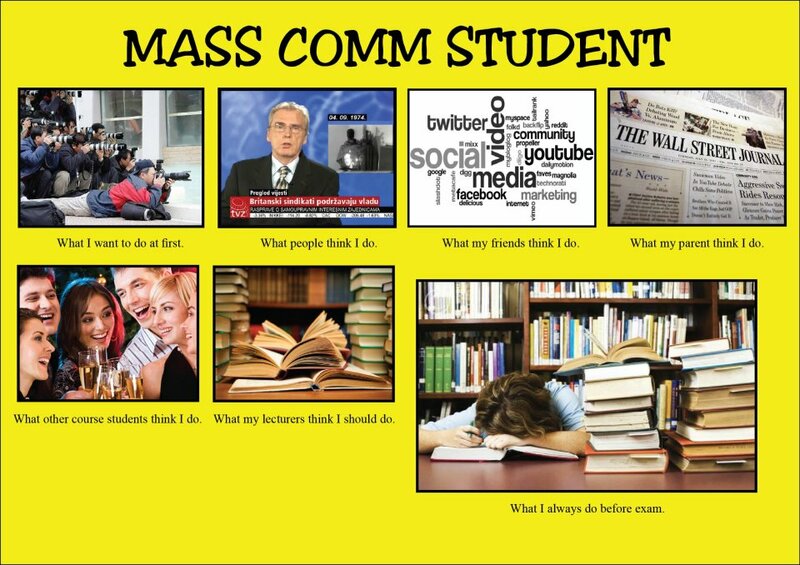 What Do You Think of Mass Comm Student? When I saw this on my Facebook news feed, it kind of attracts my attention since I’m a Mass Comm student myself. I literally laughed my head off. Somehow this might be true I guess! So what do you guys thinks? « I’m Single for Valentine’s Day and I’m Cool! Homemade Fried Rice in just 5 Simple Steps! United Goes Up, City Goes Down! Out You Go Villas-Boas! Who’s Next? New iPad coming March 7!